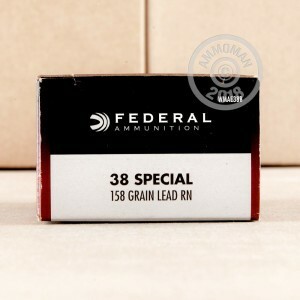 This .38 Special ammunition from Federal is ideal for both paper target and action shooting. 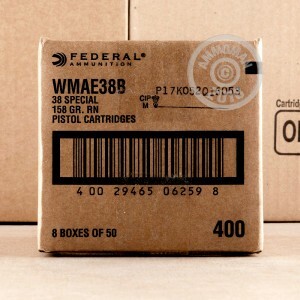 Each cartridge in this box of 50 fires a heavy 158 grain lead round nose bullet at a relatively low muzzle velocity, producing solid accuracy and low recoil for faster follow-up shots. 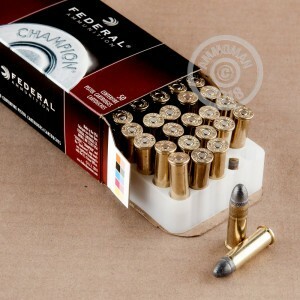 Federal Champion ammo is made in Anoka, Minnesota using non-corrosive Boxer primers and brass cases. Note that this load uses lead-nose bullets and may not be suitable for all indoor ranges. Place an order for $99 or more and AmmoMan.com will cover the cost of shipping and handling--it's our way of making the buying process easier.